Another season is upon us, and once again there are weekly challenges to complete — and the two toughest Fortnite: Battle Royale challenges are always the collectibles, and the hidden treasure Battle Star. Finding these tiny trinkets can be a pain when you’re all alone, and especially if you’ve missed a week. That’s why we’re here — to list all the information you need and straight-up tell you where to get these challenges done. Note: Weekly Challenges are for Battle Pass holders only. If you don’t have a Battle Pass, you won’t be able to complete these challenges. The Battle Pass costs $10 USD, and unlocks the entire season of rewards. Season 6 is the spookiest season yet, filled with Halloween-themed decorations, prizes, creepy castles, and costumes. For reaching the end of the Battle Pass Reward Tiers, you’ll earn a werewolf costume. There’s more than just ghosts and goblins, you’ll also have to contend with floating islands, and even all-new pets. Shadow Stones are another new addition — but you’ll have to find all that stuff on your own. Here, we’re all about those challenges. Keep scrolling to unlock them all. 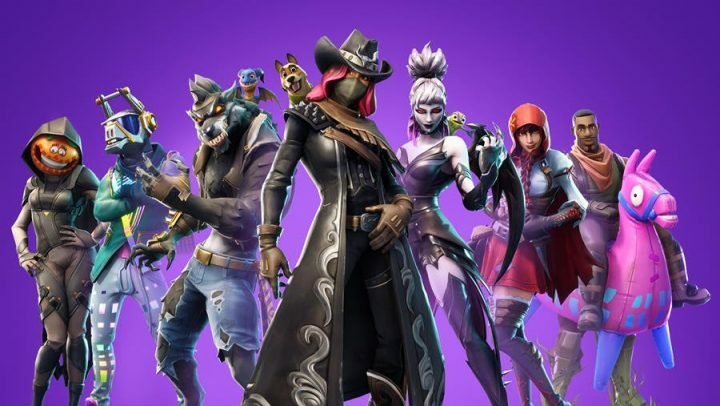 If you purchase the Season 6 Battle Pass for Fortnite: Battle Royale, you’ll unlock weekly challenges you can complete to progress down the unlockable tier list. If you want to get all the cosmetics, you’re going to need to finish some of the weekly challenges. The toughest weekly challenges involve two things — treasure maps, and collectible locations. If you miss a week — don’t worry! As long as the season is still going, you can go back and replay challenges from previous weeks. There is no standard Treasure Hunt challenge this week. Instead, you’ll just need to Apply Shields, Land on Junk Island, or eliminate opponents in Named Locations. All basic stuff. For the collectibles challenge this week, you need to dance under street lamps. Any of the dance emotes will do — just find a street lamp and dance underneath it! It’s really simple. The tricky part is just finding all the street lamps you need. The only street lamps that work have speakers around them — normal street lamps don’t work! Again, no treasure location this week. The collectibles challenge asks you to visit “Corrupted Areas” — which is incredibly easy. 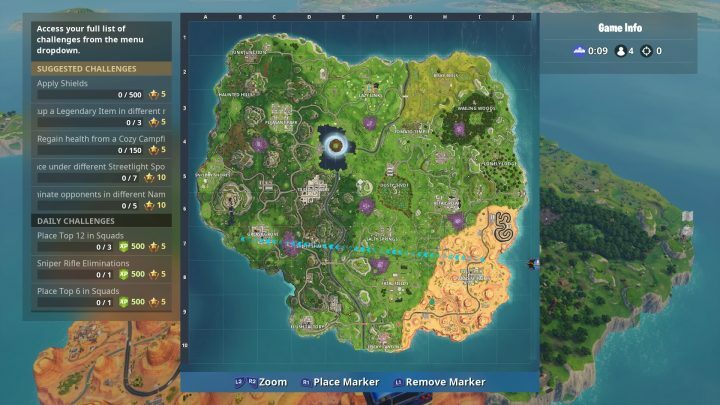 Corrupted Areas are the purple-stained rune locations where Shadow Stones spawn. They’re clearly visible on your map. 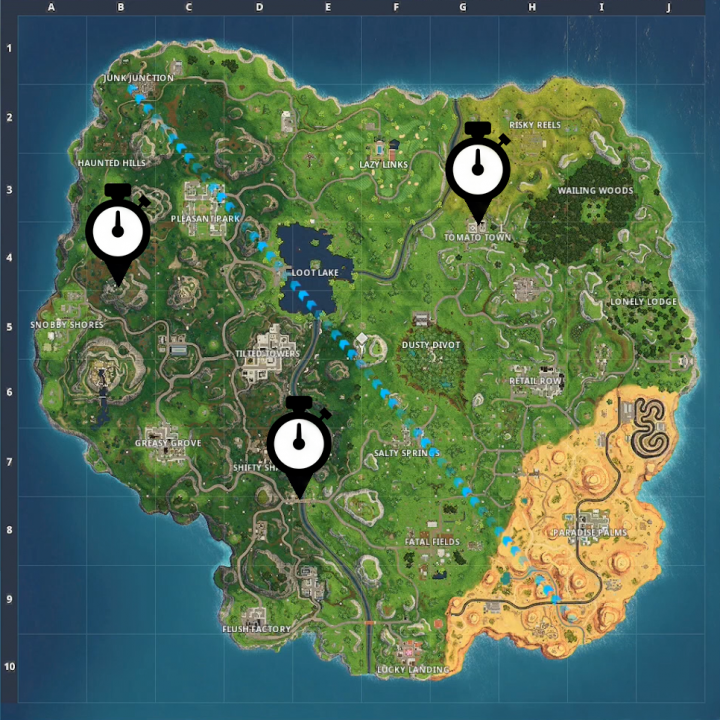 For Week 3, you need to find and complete three time trial challenges. The locations are marked on the map above. For Week 4, you need to complete three different Shooting Gallery challenges. There are multiple shooting ranges (there are seven, at least) but here’s where you can easily find three to complete the weekly challenge.